Pegasus began maintenance operations in August of 2000 with its initial application and acceptance in 2004 from the FAA to operate as a certified repair station under FAR Part 145 and EASA. 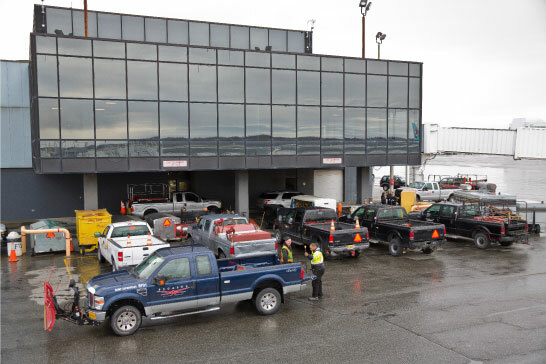 Our initial base of operations is in Ted Steven’s International Airport in Anchorage Alaska. We are now the largest commercial line maintenance provider in the Anchorage area, handling over 40 Domestic and International Airlines. 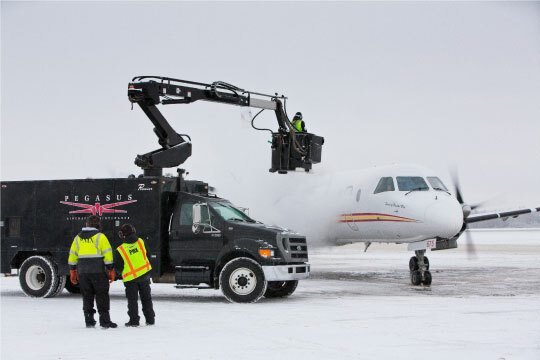 In 2006 Pegasus added Ground Handling and De-Icing services at Anchorage to give our customers the benefit of a single point vendor for all of their operational needs. Last year we were responsible for over 10,000 commercial flights, and that number continues to grow. We are an FAA and EASA certified part 145 repair station and hold several government approvals including MOLIT (Korea), CAAC (P.R. China), CAA (Taiwan), TCCA (Canada) and GCAA (UAE). We employ ATA 104 Level III trained Aircraft Engineers and provide certified AWR (Air Worthiness Release) to service many of our customers. Pegasus has a stellar safety program and record of safe operations. For 14 years, clients have counted on Pegasus to create and maintain a safe operating environment around their aircraft and personnel. Our commitment to deliver consistent and reliable service ensures your operation is cost-effective, safe, and successful, now and into the future. Pegasus is an Alaska Native-owned Corporation. We are a wholly-owned subsidiary of Akima, LLC, which provides us a mature foundation of infrastructure and common infrastructure services, like HR, Recruiting, Finance, Accounting and more. This infrastructure enables Pegasus to operate as a small business in terms of autonomy, customer interaction and decision making, while receiving support from an organization with more than 40 years of experience.